This week has been extremely busy, many bittersweet moments and incredible events. The Finns and Albanians left this week to go into the field. It was hard to see them leave but they left a huge mark on all of us. It’s just us – the crazy Hunns left. We got new Finns this week and they are awesome. 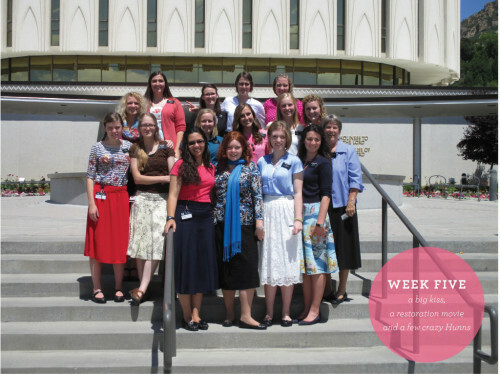 There is 9 new elders and just 1 new sister. This week was absolutely incredible and busy. The highlight of my whole week was our devotional on Sunday, hearing from our incredible speaker, Janice Kapp Perry. 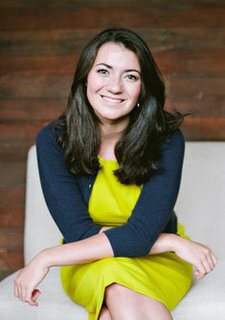 She composed, I Feel my Saviors love, Army of Helaman, As Sister in Zion and many many more amazing primary songs. I LOVE her! She told the sweetest story about how she met her husband. While she was preparing for a clarinet performance and softening up the clarinet with her lips, he said, “you know, those lips were definitely made for more than just playing the clarinet.” All of a sudden her adorable, 80 year old husband gets up and gives her the biggest kiss! 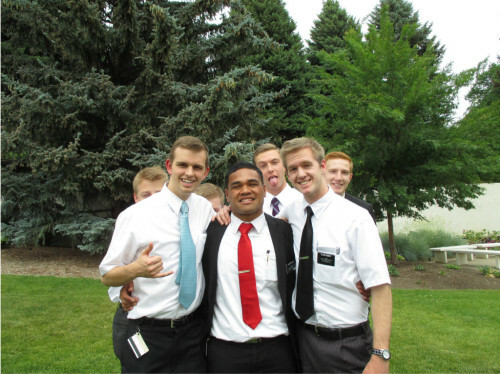 All of the missionaries went wild! To top the night off we watched The Restoration movie. The spirit was incredible, and as I look back at all that Joseph Smith went through, I am incredibly humbled. I am so blessed to be apart of this amazing church. I know with all my heart that this is the true church and that Joseph Smith was a true prophet. I know that Heavenly Father answers our prayers whenever we ask. It may not come when we want it to but it does. We are never alone and God will always send someone to help when needed. I know that we have angels walking with us and watching over us. 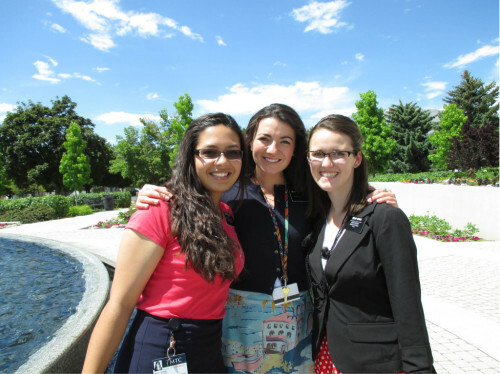 Being a missionary, you are so close to the veil and everywhere you go you feel a sense of love and peace. I am so blessed to be apart of this church. It has brought me so much happiness and peace. Thank you all for the love and support. It has been a humbling week, especially because I was able to see Elder Bednar, Elder Oaks, Elder Ballard, Elder Anderson and Elder Nielson. I know that they are angels for us here on earth. I know they are true Servants. 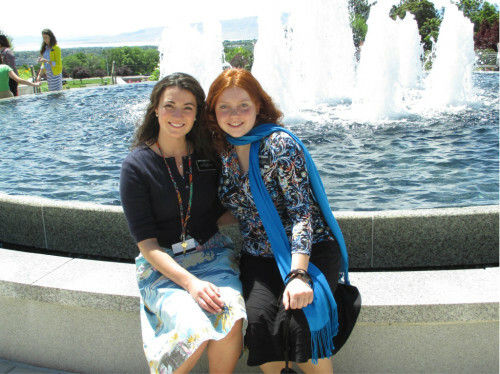 My best friend, Hermana Dalrymple left on monday to Mexico. It was so hard to see her go but because of who she is, her sweet spirit and the love she shows to everyone I know that she will be an incredible, spiritual power house. 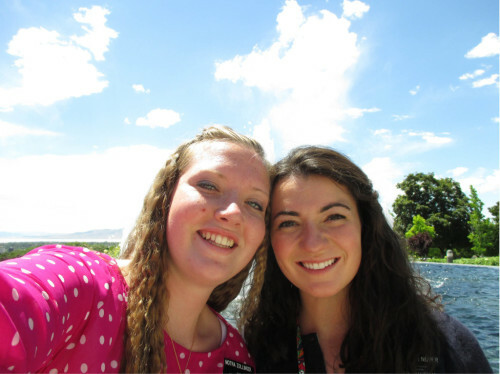 I love you McKenzie Dalrymple, thank you for your example to me and so many others. I hope you all have a wonderful week. Be safe and know that you’re always in my prayers!